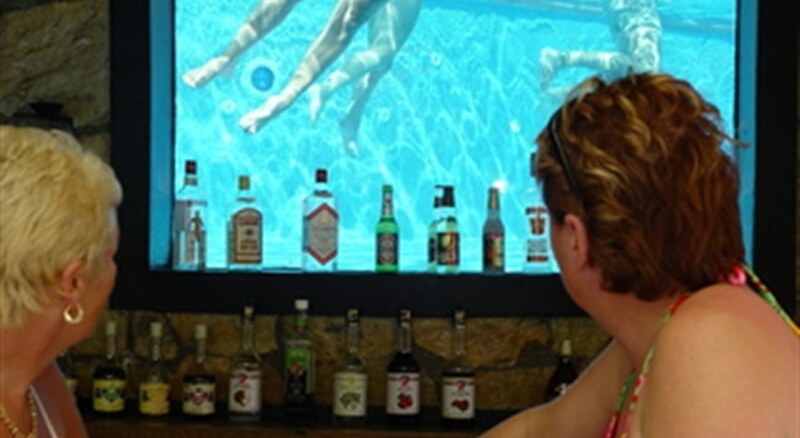 Club Aquarium is the first one in a chain of water themed hotels offering an excellent choice for families, couples and singles who want to stay in a imaginatively designed, stylishly furnished complex, providing good levels of comfort. 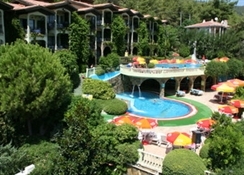 The Club Aquarium is situated on a hillside looking over the old village, the mountains and the Mediterannean sea. Guests can easily walk (or take the free shuttle) to the sister complex, the Grand Aquarium Apartments, where all facilities can be used. Local Tips: The Club Aquarium Apartments are located at the edge of the resort of Icmeler, and the centre and beach can easily be reached by local minibus (dolmus). Icmeler has its own Market day on a Wednesday, and the larger resort of Marmaris is approximately 8km away and well worth a visit for its great shopping, marina, castle and bars and restaurants. Further afield, the most popular daytrip is Dalyan, the home of the loggerhead turtles and Lycian Rock Tombs, just over an hour away. Please Note: Rates are not valid for Turkey, Russia, Bulgaria, Ukraine, Belarus, Jordan, Iran and Middle East countries. 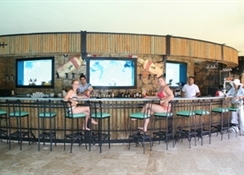 Food, drink and entertainment: Pool snack bar serves breakfast, grills, snacks and drinks throughout the day and evening, and guests can sample the cuisine at the Cave Restaurant at the sister hotel Grand Aquarium, with a free shuttle service on request. Entertainment is held each evening at the Grand Aquarium and guests can make use of the shuttle service as much as they like. 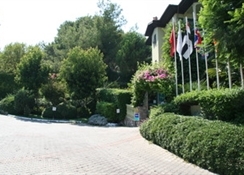 Sports and leisure: The complex is set in attractive gardens and offers an outdoor split level swimming pool connected by waterslide (limited hours), split level sun terraces with sun loungers and umbrellas, waterfall (limited hours), large screen TV, pool table. Guests can also use the spa and fitness facilities at Grand Aquarium, available for a small charge. For the kids: Children's splash pool, waterslide, children's menu, and cots and high-chairs available. Nightly mini-disco is held at Grand Aquarium. Additional: 24 hour reception (inc. currency exchange, information, wake-up call and postal service), laundry service, supermarket, free shuttle service to and from sister complex; the Grand Aquarium and Cave restaurant. Please Note: Rates are not valid for Turkish, Russian, Ukraine, Belarus, Middle East, Bulgaria, Jordan and Iran. 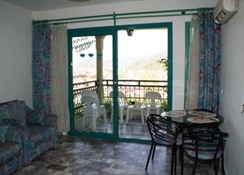 Club Aquarium has 36 one-bedroomed apartments, set in 6 blocks. All sleep up to 4 adults in 2 single and 2 sofa beds, each has a living area with kitchenette including fridge, microwave, toaster, twin electric cooking rings, kettle and all necessary cooking utensils. The bathroom has shower, WC and hair dryer and there is a furnished balcony, air-conditioning (limited hours, additional hours available at local fee), safety deposit box (extra charge) and international telephone line.